Completed in 1892 to serve the wealthy Episcopalians of Broadway, and home for ten years to the African-American Church of the Savior, this Alpheus C. Morse-designed Romanesque Revival church has been Sts. Vartanantz Armenian Apostolic Church since 1940. Armenians found refuge in the United States after being driven from their homeland by the Ottoman Turkish brutal pogroms in the 1890s and Armenian Genocide of 1915. The immigrant arrivals called their new home in Providence the “Citadel” (mitchnapert) for the community’s strength and activism. The congregation donated their labor to build new altars, a new baptismal font, new pews, and to replace floors. The rich, timber-trussed hammerbeam ceiling over the nave resembles a protective ark. The commitment to faith and service remains as strong today as when they first arrived, representative of their history as the first nation to accept Christianity as its national religion in 301AD. This community gives aid and support to those in need at home, as well as to Armenians across the globe facing conflict and persecution. Sts. 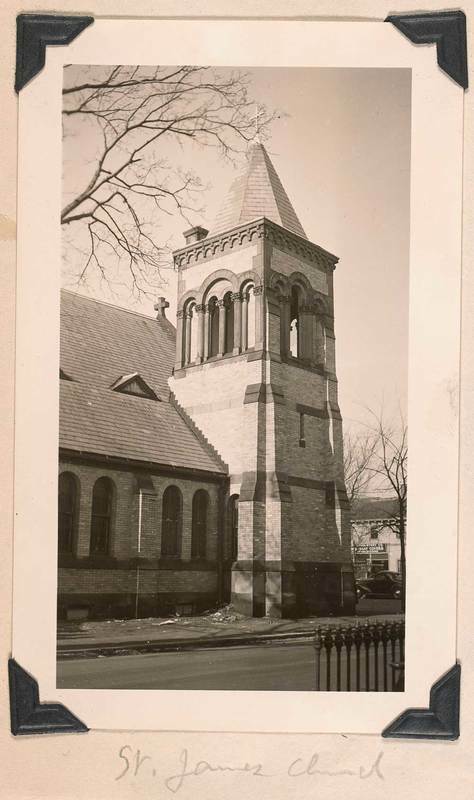 Vartanantz Armenian Apostolic Church: This photo, taken by John Hutchins Cady (date unkown) shows the Sts. Vartanantz Armenian Apostolic Church. ~ Source: John Hutchins Cady, Rhode Island Collection, Providence Public Library. The Altar and Apse of Sts. 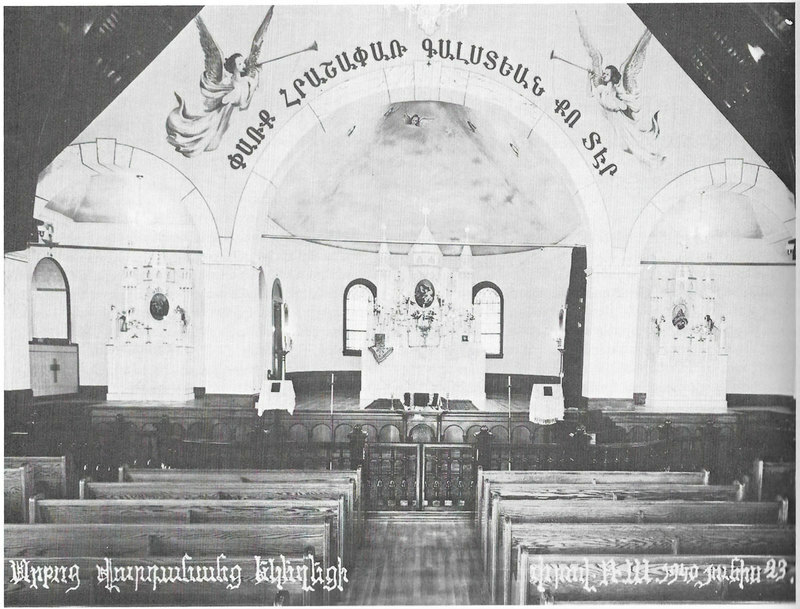 Vartanantz Armenian Apostolic Church: This mid-century photograph shows Sts. Vartanantz Armenian Apostolic Church's altar and apse. Taylor M. Polites, “Sts. 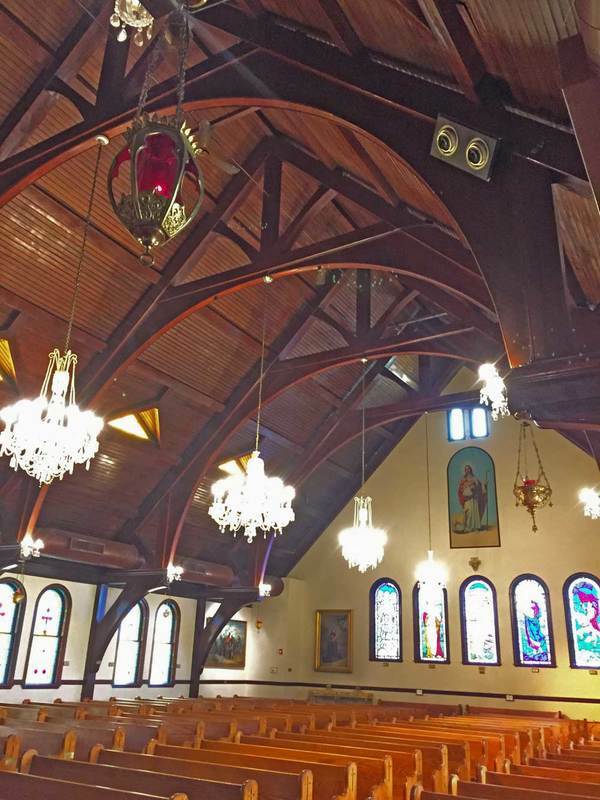 Vartanantz Armenian Apostolic Church,” Rhode Tour, accessed April 21, 2019, http://rhodetour.org/items/show/158.